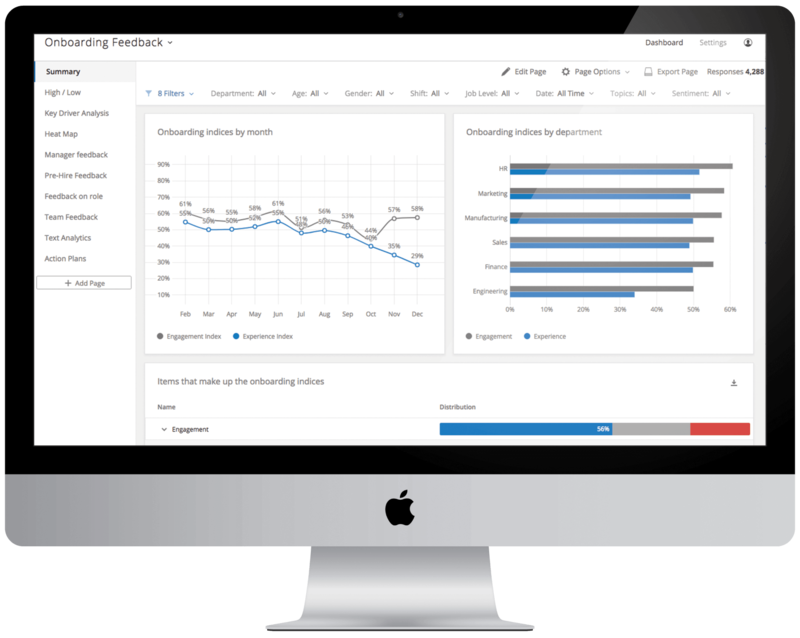 Get your on-boarding feedback program off the ground in a few clicks with pre-built surveys, dashboards and content designed by experts. It’s all just one click away in the Qualtrics XM Platform™. Need to make changes? 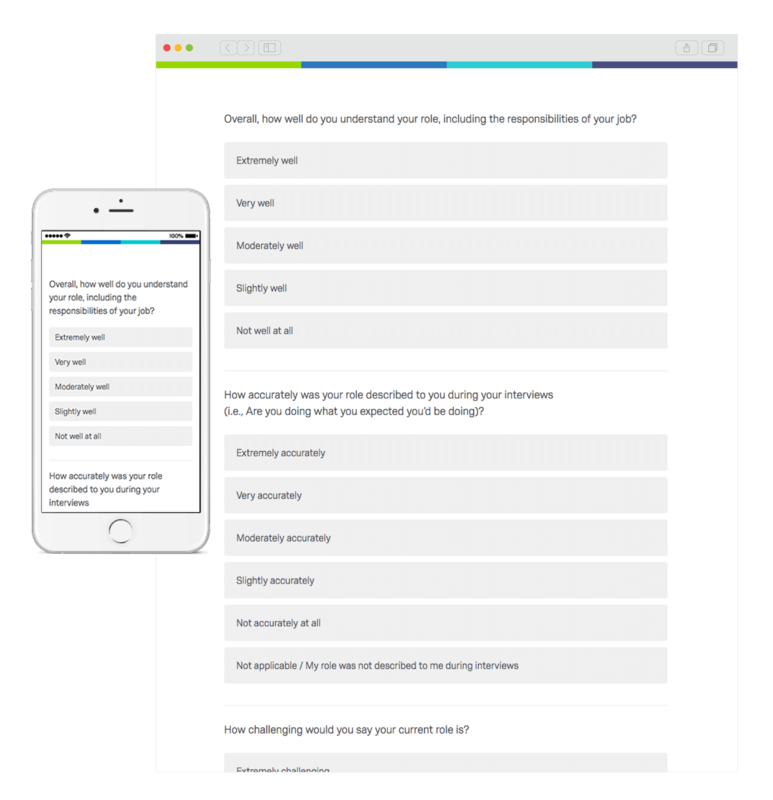 No problem - you can customise your onboarding program quickly and easily with our intuitive survey and dashboard builder. 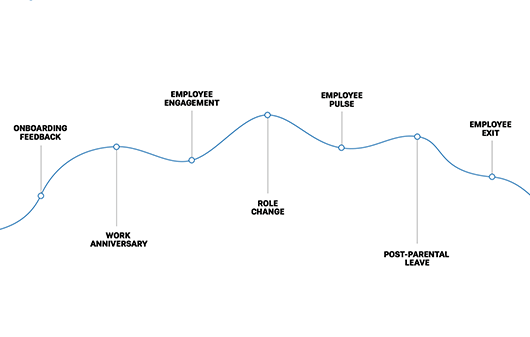 Start new hires off on with the right foot and track the impact of your on-boarding program across the entire employee lifecycle. 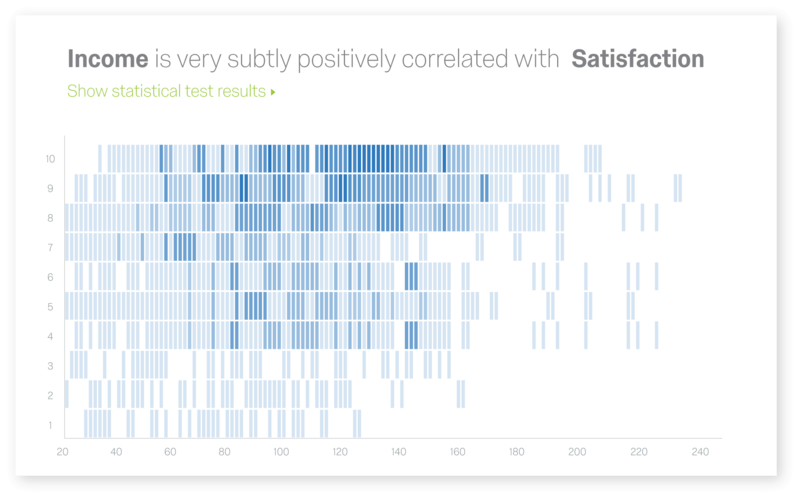 With all your feedback on the Qualtrics XM Platform™, you’ll be able to see how improvements to your on-boarding program impact everything from engagement to productivity, development and attrition. By gathering information from each new hire and tracking items such as satisfaction, manager feedback and the effectiveness of orientation processes, HR leaders and managers can maximize and optimise the investment they make in hiring and training new employees.